On my long list of things to do in our home, is getting a new set of chairs (maybe the NAP chair) for our recently renovated dining area. Ten years ago, I bought a set of white dining chairs from AM-PM but unfortunately, out of the 8 purchased, only 2 survived. The Bertoia chair by Knoll was bought on Ebay and I’m selling a brand new one here which we are not using if you are interested. The mix and match of style and genre gave our room a relaxed, holiday vibe which I love. However, I have been living with the same look for the past ten years and it would be nice to upgrade at some point. 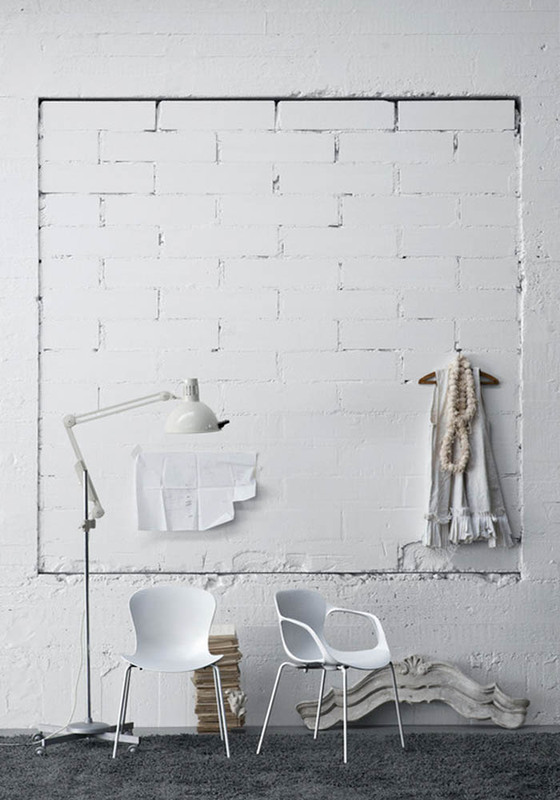 On my radar, is this beautiful, simple NAP chair designed by Kasper Salto for Republic of Fritz Hansen in 2010. This bedroom is one of my top 10 fav’ bedrooms, don’t you love it !? 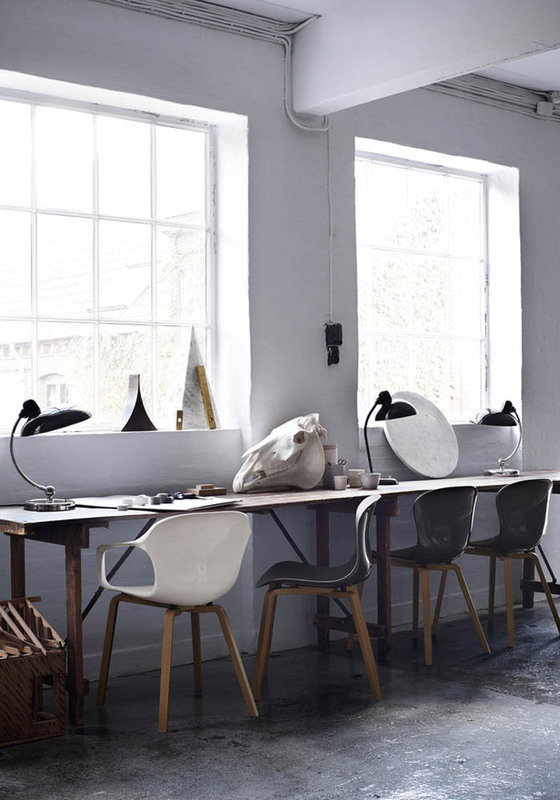 Salto started thinking about the design of the chair in 2008 and the NAP chair is the result of many sub-processes in his drawing office in Copenhagen. He asked himself “What is a chair” and from there, started to define a number of properties the chair should have. One of the important things that came out from his brainstorming, was that the chair had to serve a purpose and be comfortable, which frankly, seems the most obvious thing for a chair. 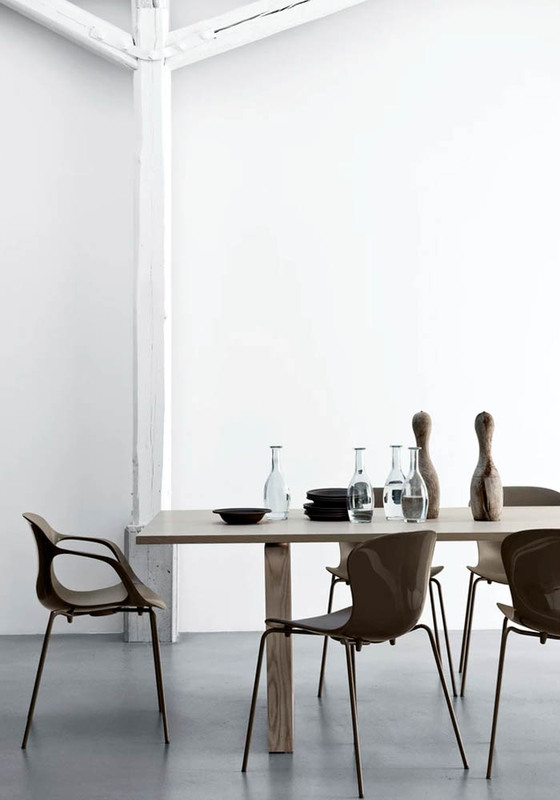 The difference in this chair lies in the way Salto designed it. He defined three positions that us, humans, have when we sit on a chair: Normal, Active, Passive (NAP) and designed a chair that would support all three positions. Normal is when we sit straight up at our desk or dining table. Active is when we are engaged in a meeting for instance and passive is when we relax and often slide down into our seat. The result is a chair with a simple, organic, curved shape, which makes the chair beautiful AND comfortable whatever position you’re in. You can sit comfortably on it for hours, which is great if you work from your dining table like me. Plus no-one likes having uncomfortable dining chairs. The seat of the NAP chair is made of Nylon. A material which is hard-wearing and doesn’t scratch easily so they will last longer than my previous chairs. The NAP chair collection includes a stackable model (KS50) available in 6 different colours with stainless-steel legs and an armchair (KS60). I love the simplicity of the stackable model but somehow I think the armchair has a more distinctive style and nicer lines, don’t you think!? 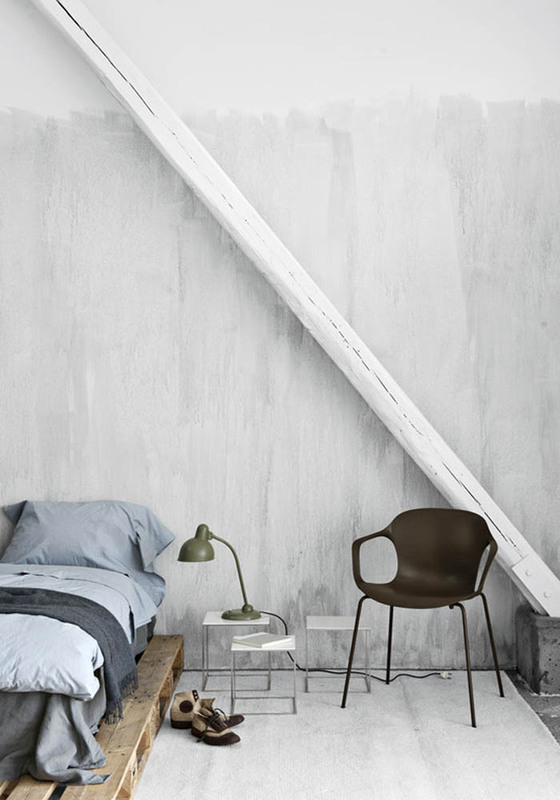 Since its launch in 2010, the NAP chair has become fast a classic design and both models are also available with wooden legs (see above): model KS52 for the chair and KS62 for the armchair. The NAP chair is available from various shops in London and I’ve linked where you can order it online. I agree the armchair version looks more distinctive than the stackable design. I like the white ones with the thin metal legs, more delicate and elegant than the chunkier wooden legs. To look at in the photo, I wouldn’t have thought they would be particularly comfortable, however having read your description of the design process it sounds like they are more comfortable than they appear – I look forward to trying them out when I get chance. Will you keep your existing table to go with? 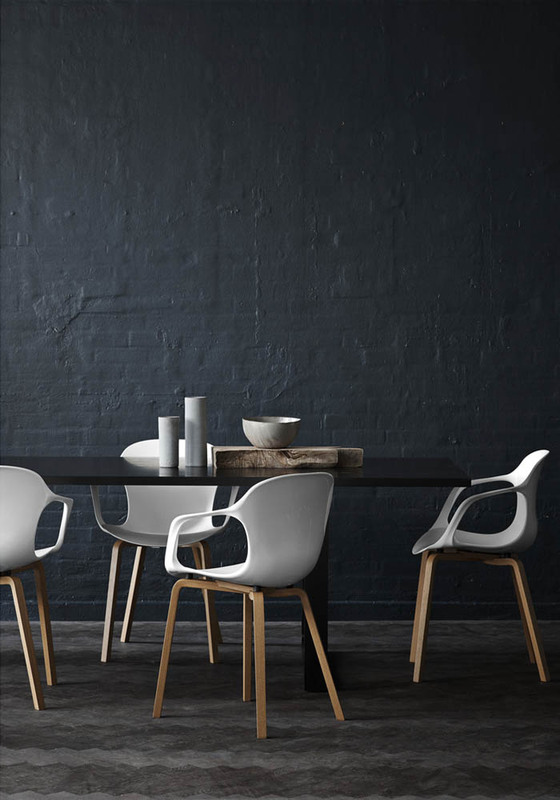 I’m an interior designer and finding the right match of dining chairs and tables is something I always spend a LONG time deliberating on!